Flip Side® delivers stunning, large panicles of deep purple flowers that perfume the air. The dark green foliage is veiled in purple underneath each leaf, hence the name Flip Side®. 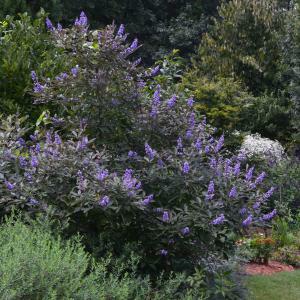 This strong rebloomer is an excellent addition to landscapes in warmer regions.